If you were to examine Olio’s website, you would notice two sections that stand out. The first, ‘Stories’, showcases the label’s collections, most of which are shot in idyllic meadows and picturesque pastures, while the second, ‘Blog’, takes you on a sartorial journey across India, featuring women who talk about issues like feminism, body positivity, sustainability and inclusiveness. 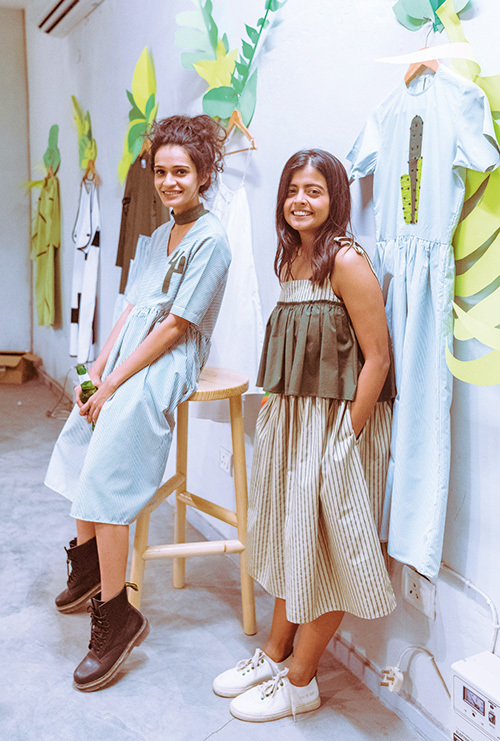 Founded by Sneha Saksena and Aashna Singh, the former armed with a degree in design from NIFT, Gandhinagar and the latter with her experience in corporate communications, the brand was born out of a desire to design playful clothes along with creating a community for women to share their narratives. “People love stories and Olio is a brand that loves to converse. We don’t only want to sell you a dress; we want to take you on a journey,” they emphatically reveal.